Language extinction or language death is a sociolinguistic phenomenon that is often discussed among linguists or speakers in general (Aitchison, 2001; Crystal, 2000; Dalby, 2003; Mufwene, 2004; Nelson, 2007; Fishman, 2002; 2007). Due to rapid globalisation, the effect of "superstratum and substratum" is inevitable (Crystal, 2003), particularly to those languages of ethnic minorities; those in Brunei Darussalam are not the exception (Martin, 1995; Noor Azam, 2005; David, Cavallaro & Coluzzi, 2009; Clynes, 2012; Coluzzi, 2012). These minority languages are inclined to endangerment due to urbanisation, education system, migrations and others, which lead to language shift, and consequently – extinction. Brunei Darussalam is a multilingual country that has diverse population and cultures which generate variations of language and dialect (Nothofer, 1991; Fatimah & Poedjosoedarmo, 1995; Azmi Abdullah, 2001; Jaludin Chuchu, 2005; David, Cavallaro & Coluzzi, 2009). Recognised as one of the seven indigenous in Brunei under the Citizenship Status laws 1961 of the Constitution of Negari Brunei 1959, Dusun ethnic is alleged to have and practice their own code of dialect. In Brunei Darussalam, all dialects and languages spoken by indigenous ethnics are regarded as minority languages, except for the dialect of Brunei Malay. By focusing on Dusun dialect, this paper discusses the current situation of its language use and perceptions among the native speakers. The current study is an extrapolation from recent fieldworks research on the Dusun code-practice by Fatimah Chuchu & Najib Noorashid (2013a; 2013b; 2013c). This paper also reviews the efforts of revitalising the Dusun dialect – facing the globalisation. Result found Dusun dialect is still being practiced as an identity marker among the older generations, but declined in use among younger generations. Nevertheless, these native speakers are still aware of the importance of their mother-tongue. Efforts to revitalise Dusun are constantly executed, and interest towards it has also increased over time. Aini Haji Karim. (2007). Preposisi Bahasa Dusun dan Bahasa Melayu: Satu Analisis Kontrastif dan Analisis Kesilapan. Bandar Seri Begawan: Dewan Bahasa dan Pustaka. Aini Haji Karim. (2008). Pembentukan Kata Kerja Bahasa Dusun Di Negara Brunei Darussalam. Paper presented at the Seminar Antarabangsa Dialek-Dialek Austronesia Di Nusantara III. Chancellor Hall, Universiti Brunei Darussalam, January 24-26. Aitchison, J. (2001). Language Change: Progress or decay? Cambridge: Cambridge University Press. Asiyah Az-Zahra Ahmad Kumpoh. (2011). Conversion to Islam: The case of the Dusun ethnic group in Brunei Darussalam. (Doctoral thesis). England: University of Leceister. Austin, P. K. & Sallabank, J. (2011). Introduction. In P. K Austin dan J. Sallabank (Eds. ), Cambridge Handbook of Endangered Languages. Cambridge: Cambridge University Press. Azmi Abdullah. (2001). Bahasa Melayu sebagai Sarana Penyatuan Rakyat Negara Brunei Darussalam: Satu Perspektif Sosiolinguistik. In Bahasa Jiwa Bangsa, Vol. 3, Bandar Seri Begawan: Dewan Bahasa dan Pustaka, pp: 167-190. _____________, (2000a). Bahasa: Tapak Survival Bangsa. In Bahasa Jiwa Bangsa, Vol. 1, Bandar Seri Begawan Dewan Bahasa dan Pustaka, pp: 147-151. _____________, (2000b). Bahasa Melayu dan Tarafnya di Brunei. In Bahasa Jiwa Bangsa, Vol.1, Bandar Seri Begawan Dewan Bahasa dan Pustaka, pp: 187-190. Bernstein, J. H. (1997). The deculturation of the Brunei Dusun. In R.L Winzeler (Ed. ), Indigeneous Peoples and the state: Politics, Land, and Ethnicity in the Malayan Peninsula and Borneo, New Haven, CT: Yale University Southeast Asian Studies, pp: 159-179. Burnaby, B. (2007). Aboriginal Language Maintenance, Development, and Enhancement. In G. Cantoni (Ed. ), Stabilizing Indigenuous Languages, NA: Nothern Arizona University, pp: 21-37. Campbell, L. & Muntzel, M. (1994). Language death. In R.E Asher & J.M.Y Simpson (Eds. ), The Encyclopedia of Language and Linguistics, Vol. 4, Oxford/New York: Pergamon, pp: 1960-1968. Chong Ah Fok. (2008). Pronomin Persona Bahasa Dusun. In Proceeding of Dialek Peribumi Warisan Ketrampilan Jati Diri (Vol. 1). Paper presented at the Seminar Antarabangsa Dialek-Dialek Austronesia di Nusantara III, January 24-26, pp: 199-216. Clynes, A. (2012). Dominant Language Transfer in Minority Language Documentation Projects: Some Examples from Brunei. In Language Documentation & Conservation, Vol. 6, pp: 253-267. Coluzzi, P. (2012). The Linguistic Landscape of Brunei Darussalam: Minority Languages and The Threshold of Literacy in South East Asia: A Multidisciplinary Journal, Vol. 12, pp: 1-16. Coluzzi, P. (2013). Language Planning for The Minority Language in Brunei. In proceeding of Kepelbagaian Bahasa di Borneo: Bahasa sebagai Mozaik Sosial, Ekonomi dan Budaya. Paper presented at the Forum of Kepelbagaian Bahasa di Borneo, Rizqun International Hotel, Brunei, August 28-29. Crawford, J. (2007). Seven Hypotheses on Language Loss: Causes and Cures. In G. Cantoni (Ed. ), Stabilizing Indigenuous Languages, NA: Nothern Arizona University, pp: 45-60. Crystal, D. (2000). Language Death. Cambridge University Press. Crystal, D. (2002). Revitalizing Languages. In Language Magazine, October Issue, pp: 18-20. Retrieved: 1 August 2013, from http://www.languagemagazine.com. Dalby, A. (2003). Language in Danger, London: Penguin. David, M. K., Cavallaro, F., & Coluzzi, P. (2009). Language Policies – Impact on Language Maintenance and Teaching: Focus on Malaysia, Singapore, Brunei and The Phillipines. In F. Cavallaro, A. Milde & P. Sercombe (Eds.) The Linguistic Journals, September Issue, pp: 155-191. Dayangku Rosenani Pengiran Halus. (2009). Pengimbuhan dan Fungsi Kata Kerja dan Kata Nama dalam Bahasa Dusun Merangking, Mukim Bukit Sawat, Bandar Seri Begawan: Dewan Bahasa dan Pustaka. Derhemi, E. (2002). Thematic Introduction: Protecting Endangered Minority Languages: Sociolinguistic Perspectives. In International Journal on Multicultural Societies (IJMS), Vol. 4, No.2, pp: 150-161. Dorian, N. C. (1977). The problem of the semi-speaker in language death. In International Journal of the Sociology of Language, 12, pp: 23-32. Dorian, N. C. (2009). Sociolinguistic Dimensions of Language Death. In N.Coupland & A. Jaworski (Eds. ), The New Sociolinguistics Reader. New York: Palgrave Macmillan, pp: 541-559. Fatimah Chuchu. (2009). Bahasa Dalam and Malay Speech Etiquette in Brunei Darussalam, Brunei: Dewan Bahasa dan Pustaka. Fatimah Chuchu. (2011). Pengekalan Bahasa-Bahasa Minoriti Semenjak Tertubuhnya Malaysia Pada 16 September 1963. In Pembentukan Malaysia: Isu dan Perdebatan. Shah Alam: Pusat Penerbitan Universiti (UPENA), Universiti Teknologi Mara, pp: 319-325. Fatimah Chuchu & Najib Noorashid. (2013a). Code Choice within Intercultural Communication among Ethnic Minorities in Brunei Darussalam. Paper presented at the Seminar Antarabangsa Penyelidikan Mengenai Melayu, Universiti Brunei Darussalam, of Faculty of Arts and Social Sciences (FASS) Universiti Brunei Darussalam and University of Goethe, Frankfurt, March 29-31. Fatimah Chuchu & Najib Noorashid. (2013b). Code Choice within Intercultural Communication among Ethnic Minorities in Brunei Darussalam: An Extended Research. In proceeding of the International Symposium on Language and Communication: Exploring Novelties, Vol. 3. Paper presented at the International Symposium on Language and Communication, Izmir University, Turkey, June 17-19. Fatimah Chuchu & Najib Noorashid. (2013c). Language choice & co-construction of solidarity within interethnic communication in Kiudang/Mungkom. In proceeding of the International Conference on Languages, Linguistics and Society. Paper presented at the International Conference on Languages, Linguistics and Society, Universiti Malaysia Sabah (UMS), Kota Kinabalu, October 22-24. Fatimah Chuchu & Poedjosoedarmo, S. (1995). Triglossia among the People of Brunei. In Purih: Sempena Sepuluh Tahun Penubuhan UBD, Tungku Link: Universiti Brunei Darussalam, pp: 93-100. Fasold, R. W. (1984). The Sociolinguistics of Society. Oxford: Basil Blackwell. Finaz Daniel. (20 August 2010), Preserving a Fading Language. In The Brunei Times. Fishman, J. A. (1989). Language and ethnics in minority sociolinguistic perspectives. Clevedon, England: Multilingual Matters. Fishman, J. A. (1991a). Reversing Language Shift: Theoretical and Empirical Foundations of Assistance to Threatened Languages. Bristol: Multilingual Matters. Fishman, J. A. (Ed.) (1991b). Can threatened languages be saved? Reversing language shift, revisited: A 21st Century Perspective, Clevedon, UK: Multilingual Matters. Fishman, J. A. (2002). Endangered Minority Languages: Prospects for Sociolinguistic Research. 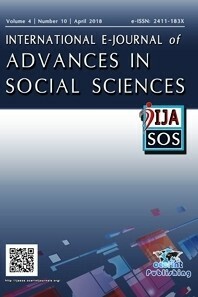 In International Journal on Multicultural Societies (IJMS), Vol. 4, No.2, pp: 270-275. Fishman, J. A. (2007). Maintaining languages: What works and what doesn't. In Gina Cantoni (Ed. ), Stabilizing indigenous languages. Flagstaff, AZ: Northern Arizona University. Giles, H., Bourhis, R.Y., & Taylor, D.M.. (1977). Towards a theory of language in ethnic group relations. In H. Giles (Ed. ), Language, Ethnicity and Intergroup Relations. London/New York: Academic Press, pp: 307-348. Gunn, G. C. (1997). Language, Power, & Ideology in Brunei Darussalam, Ohio: Ohio University Press. Hale, K., Krauss, M., Watahomigie, L., Anamoto, A., Craig, C., Masayesva, L., & England, N. (1992). Endangered Languages. In Language 68, pp: 1-42. Hassan Salikin. (13 November 1991). Cabaran sebagai lingua franca. In Borneo Bulletin. Jaap de Ruiter, J., Saidi, R., & Spotti, M. (2009). Teaching Minority Languages: The Case of Arabic in Europe, Netherlands: Tilburg University. Retrieved: 28 July 2013, from http://www.plusvalor.eu/download/nl/Plusvalor-bookletEnglish-finalfebr10.pdf. Jaludin Chuchu. (2005). Ragam-Ragam Dialek Melayu Brunei, Bandar Seri Begawan: Dewan Bahasa dan Pustaka. Kershaw, E. (1994). Final shifts; Some why’s and how’s of Brunei-Dusun convergence on Malay. In P. W. Martin (Ed. ), Shifting patterns of language use in Borneo, Williamsburg: Borneo Research Council, pp: 179-194. Kershaw, E. (2000). A Study of Brunei Dusun Religion: Ethnic priesthood on a frontier of Islam. In Phillips, ME: Borneo Research Council, Monograph Series, No. 4, pp: 287. Krauss, M. (1992). The world’s languages in crisis. In Language 68, pp: 4-10. Laoire, M. O. (2008). Indigenous Language Revitalisation and Globalization. In Te Kharoa, Vol. 1, pp: 203-216. Malone, S. E. (2004). Planning Mother Tongue-Based Education Programs in Minority Language Communities (unpublished version). Paper was a used for Manual for Developing Literacy and Adult Education Programme in Minority Language Communities by UNESCO, Bangkok. Retrieved: 28 July 2013, from http://www.globalpartnership.org/media/cop%20meeting/resources/language/PLANNING%20MOTHER%20TONGUE-BASED%20EDUCATION%20-%20Susan%20Malone.pdf. Malone, S. E. (2007). Mother Tongue-Based Multilingual Education: Implications for Education Policy. Paper presented at the Seminar on Education Policy and the Right to Education: Towards more Equitable Outcomes for South Asia’s Children, Kathmandu, September 17-20. Martin, P. W. (1994). Lexicography in Brunei Darussalam. In B.Sibayan & L. E. Newell (Eds. ), Papers from the First Asia International Lexicography Conference, Manila, Phillipines, 1992, LSP Special Monograph Issue, 32, Manila: Linguistic Society of the Phillipines, pp: 59-68. Martin, P. W. (1995). Whither the Indigenous languages of Brunei Darussalam? In Oceanic Linguistics 34, pp: 44-60. Martin, P. W. (1996a). Brunei Malay and Bahasa Melayu: A Sociolinguistic Perspective. In P. W. Martin, C. Ozog & G. Poedjosoedarmo (Eds), Language Use & Language Change in Brunei Darussalam, Ohio: Ohio University Center for International Studies Monographs in International Studies, pp: 27-36. Martin, P. W. (1996b). Social Change and Language Shift among the Belait. In P. W. Martin, C. Ozog & G. Poedjosoedarmo (Eds. ), Language Use & Language Change in Brunei Darussalam, Ohio: Ohio University Center for International Studies Monographs in International Studies, pp: 253-267. Minority Rights Group International. (2008). World Directory of Minorities and Indigenous Peoples – Brunei Darussalam: Dusun, Murut, Kedayan, Iban, Tutong, Penan. Retrieved: 28 July 2013, from http://www.refworld.org/docid/49749d48c.html. Mufwene, S. (2002). Colonization, globalization, and the future of languages in the twenty-first century. In Most International Journal on Multicultural Societies, 4 (2), pp: 162–193. Mufwene, S. (2004). Language birth and death. In Annual Review of Anthropology 33, pp: 201–222. Muhammad Awang Jambol. (2001). Bahasa Melayu Brunei: Sebagai Lingua Franca dan Sumbangannya. In Bahasa Jiwa Bangsa, Vol. 3, Brunei: Dewan Bahasa dan Pustaka, pp: 1-13. Meyerhoff, M. (2006). Introducing Sociolinguistics. Oxon: Routledge. Nelson, D. (2007). Language Death. In C.Llamas, L. Mullany & P. Stockwell (Eds. ), The Routledge Companion to Sociolinguistics, London/New York: Routledge, pp: 199-204. Nettle, D. & Romaine, S. (2000). Vanishing Voices, Oxford: Oxford University Press. Noor Azam Haji Othman. (2005). Changes in the Linguistic Diversity of Negara Brunei Darussalam: An Ecological Perspective. (Doctoral thesis). England: University of Leicester. Noor Azam Haji Othman. (2013). A recorded interview. Record label: UBD13-MN-1. Nothofer, B. (1991). The Language of Brunei Darussalam. In H.Steinhauer (Ed. ), Papers in Pacific Linguistics, A-81, Canberra: Australian National University. Pandharipande, R. (2002). Minority Matters: Issues in Minority Languages in India. In International Journal of Multicultural Societies (IJMS), Vol. 4, No.2, pp: 213-234. Reyhner, J. (2007). Rationale and Needs for Stabilizing Indigenous Languages. In G. Cantoni (Ed. ), Stabilizing Indigenuous Languages, NA: Nothern Arizona University, pp: 3-14. Romaine, S. (2002). The Impact of Language Policy on Endangered Languages. In International Journal on Multicultural Societies (IJMS), Vol. 4, No.2, pp: 194-212. Sasse, H. J. (1992). Theory of language death, language decay, and contact-induced change: Similarities and differences. In M.Brenzinger (Ed. ), Language Death: Factual and Theoretical Explorations with Special Reference to East Africa. Berlin: Mouton de Gruyter. pp: 59-80. Sercombe, P. (1996). Ethnolinguistic change among the Penan of Brunei: Some initial observations. In Bijdragen tot de Taal-, Land- en Volkenkunde, 152-2, pp: 257-74. Sharlene Othman. (25 June 2011). Seminar to preserve Dusun culture. In The Brunei Times. Brunei Citizenship Status, (1961). Bandar Brunei: Jabatan Penerangan Kerajaan Brunei. Trudgill, P. (2000). Sociolinguistics: An Introduction to Language and Society. London: Penguin. Tsunoda, T. (2005) Language Endangerment and Language Revitalization. Berlin: Mouton De Gruyter, 2005. 169. Print. Wolfram, W. (2004). Language Death and Dying. In J.K Chambers, P. Trudgill & N. Schilling-Estes (Eds. ), The Handbook of Language Variation and Change, Malden: Blackwell Publishing, pp: 764-787. Yabit Alas. (1994). The reconstruction of pre Dusun and classification of its descendents. (Master thesis). Manoa: University of Hawaii. Yabit Alas. (1995). Pinjaman atau asli? Satu kajian Linguistik Perbandingan dalam bahasa Dusun. In Janang, September issue, Vol. 5. pp: 82–94. Yabit Alas. (2009). Tanah leluhur masyarakat Dusun: Perspektif linguistik. In South East Asia: A Multidisciplinary Journal, 9. pp: 107–121. Yaw Siew May. (23 May 2007). Tutong Dusun Community Fights to Save Their Cultures. In The Brunei Times. Zaharlick, A. (1982). Native Americans and literacy. In R. S. Clair & W. Leaps (Eds. ), Language renewal among American Indian Tribes, Rosslyn, VA: National Clearinghouse for Bilingual Education, pp: 43-47.